Team Europe for IAAF World Cup | iaaf.org https://www.iaaf.org/competitions/iaaf-continental-cup/news/team... 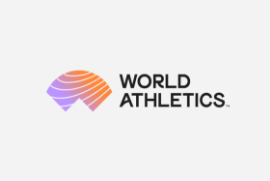 Following last week’s European Athletics Championships in Gothenburg, Team Europe has been selected for the IAAF World Cup in Athens, Greece, on 16-17 September 2006. 2005 - End of Year Reviews - HURDLES| News | iaaf.org https://www.iaaf.org/news/news/2005-end-of-year-reviews-hurdles 2005 - End of Year Reviews - HURDLES Share Tweet Email The Hurdling ... Tetyana TERESHCHUK-ANTIPOVA 69 UKR 1274 8. Xiaoxiao HUANG 83 CHN 1273. 2002 – Hurdles Review| News | iaaf.org https://www.iaaf.org/news/news/2002-hurdles-review 2002 – Hurdles Review Share Tweet Email Renowned track and ... Tetyana TERESHCHUK-ANTIPOVA 69 UKR 1250 10. Anna OLICHWIERCZUK 78 POL 1236 .